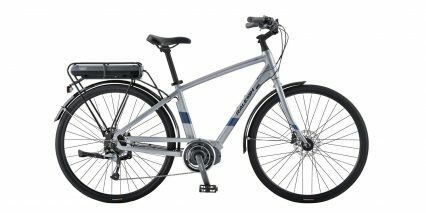 The 2016 Raleigh Misceo iE is a sporty city bike that could be used for road riding or commuting. 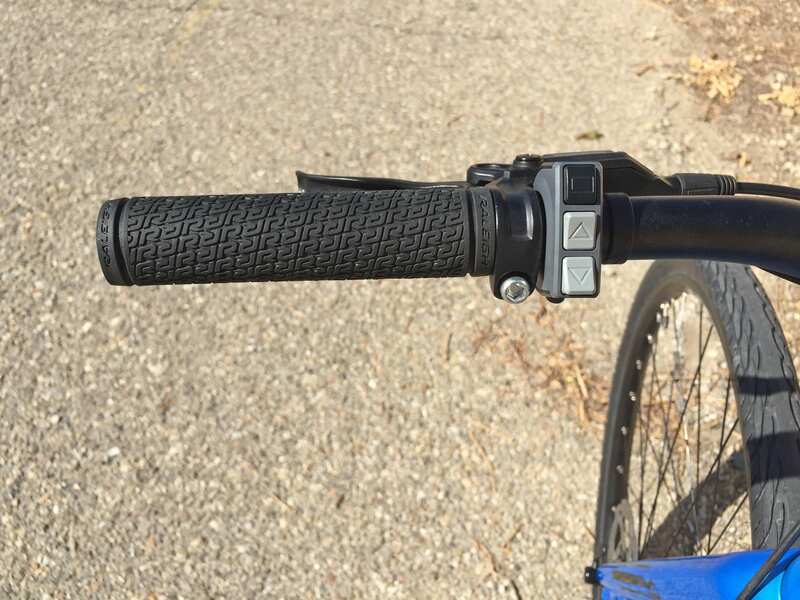 The geometry is a bit more aggressive with a flatter handle bar, standard round grips and a firm saddle but it comes in four sizes and offers a carbon fiber fork to improve fit and address vibration (the frame is all Aluminum). 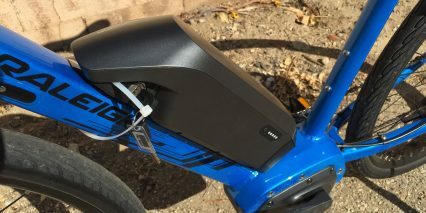 Compared to the 2015 version you now get automatic shifting by default (people who have a 2015 model can take their ebike into a certified Shimano dealer to get the firmware upgrade) along with a thicker seat post, longer frame with box tubing on the seat stays and chain stays for improved lateral stiffness, the motor has been tipped down and is now horizontal like the other Shimano STePs powered Raleigh bikes vs. a 45 degree angle in 15″ and you get a pare of bottle cage braze-ons on the seat tube! 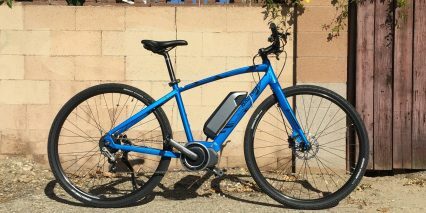 The frame improvements seem to have added ~2 pounds over the 2015 model but this is still a light weight electric bike at just 43.5 lbs (depending on the frame size you get, I was riding the Medium ~17″). 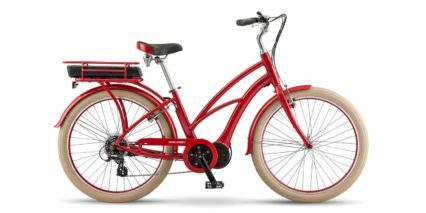 Amazingly, the price tag is lower than 2015 as well with a listed price of $2,699 and you still get the two year comprehensive lifetime frame warranty. 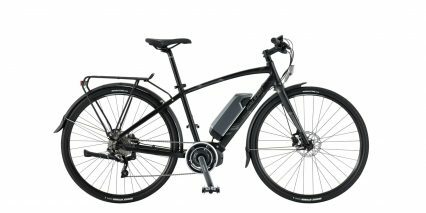 Other highlights for me are the quick release front wheel, removable battery and display (and just how easy the display is to navigate for things like disabling backlighting or the beeps) and the carbon fork. 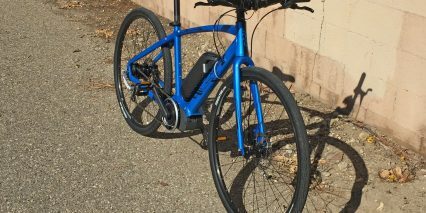 Some of the challenges I encountered include having to remove the battery for charging vs. leaving it on the frame. 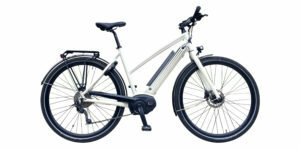 The motor driving this bike is plenty powerful with a peak output at 500 watts and 50 Nm of torque, it responds proportionally to your pedaling input but also senses cadence so it’s not just as tiring to use and can be operated at slower speeds if you just pedal more gently (perhaps in crowded areas). 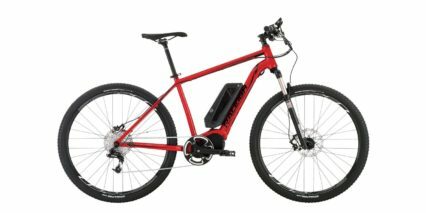 With three levels of assist the range can per charge can be upwards of 50 miles if you’re on paved surfaces with higher tire pressure (up to 85 PSI) but the ride is stiffer… I’d probably grab a Body Float seat post suspension and 27.2 mm to 30.9 mm shim to make it work (Thudbuster also has a short travel suspension post that’s less expensive but also less responsive). 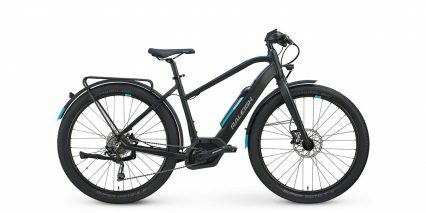 There’s no throttle on this bike, you always have to pedal but that keeps it Class 1 (legally permitted in more locations) and this is the only Shimano STePs powered electric bicycle I’ve tested with shift detection! 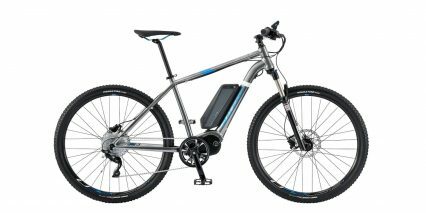 That’s due to the electronic shifting which is powered by the same battery and interacts with the motor. 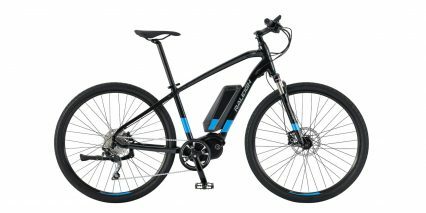 Similar shift sensing technology comes stock on Bosch and Impulse powered ebikes and helps to reduce chain, sprocket and gear wear. 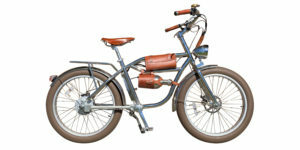 You can hear it in action during the test ride in the video review above. Court, you are obviously on a real ‘roll’ right now with the many iZip & Raleigh reviews you are pumping out. 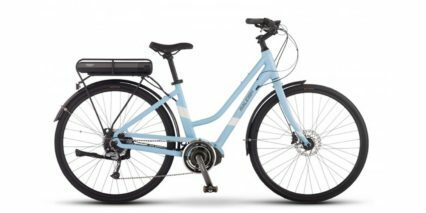 I especially appreciated you explaining, in the Dash review, the ‘brand differentiation’ between the almost identical iZip and Raleigh models. Takes me back to those Dodge vs. Plymouth or Oldsmobile vs. Buick days, which didn’t produce much product differentiation but rather just added overhead. 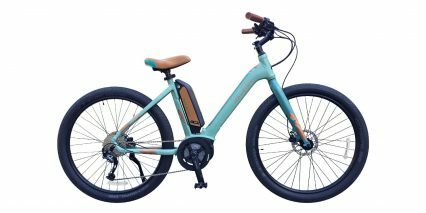 Two Q’s about the Misceo iE please: There’s much that appeals for my intended purposes (around town + maintained trails with some elevation changes): decent mileage, the protected internal hub gearing, shift sensing and, perhaps most important, lighter weight. 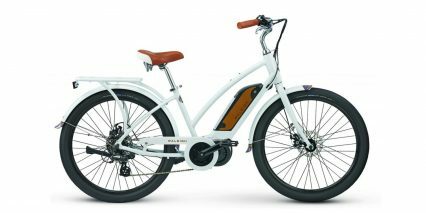 Q1: Being an older guy, I favor an ebike with a front suspension, even an inexpensive one, to help mitigate joint pain on longer rides. 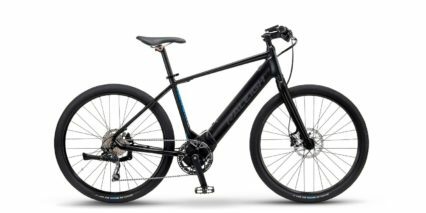 How much difference would the carbon fiber fork really make in helping me avoid cumulative shock loading on elbows/wrists/hands? 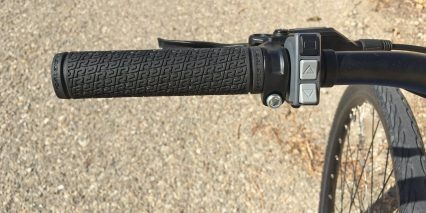 Or more generally, does it in reality boil down to ‘front suspension’ or ‘no front suspension’? 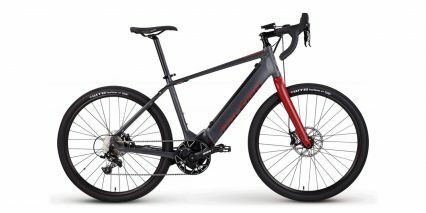 And Q2: Alpine’s IGH looks like a pretty specialized piece of gear, while I expect to be riding in a somewhat remote community (Bozeman, MT), not unlike your Uncle in CO. How reliable are these Alpine IGH units proving to be…and if a problem develops, is it likely I could ship off just the wheel/hub assembly for service or repair? There’s no nearby Alpine expertise available where I’ll be located. Once again, congrats on these super helpful reviews. 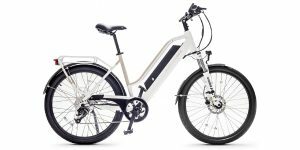 I feel like I’m getting much closer to what I really should be purchasing due to these reviews and these follow-on ‘discussions’ you offer. 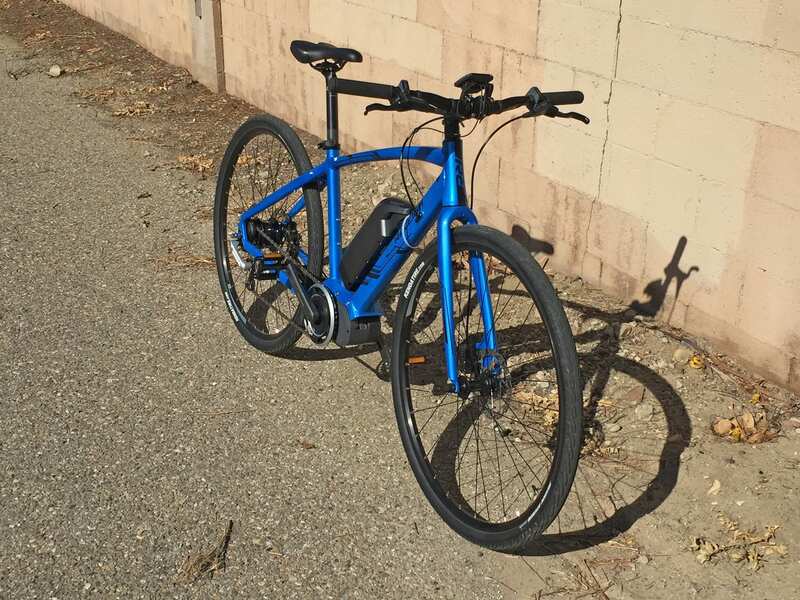 Hi Jack, glad you found some value in the crossover comparisons, I’m trying to be respectful to the companies and allow each bike to stand on its own but my real goal is to help potential buyers navigate the space and find the right fit for their budget and intended use. 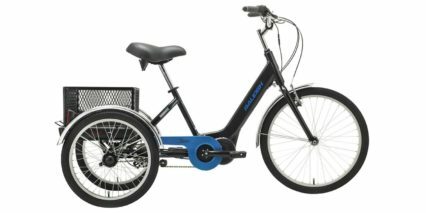 Q1: I personally would only ever ride the Misceo iE or Sport iE on paved surfaces… and they would have to be smooth. 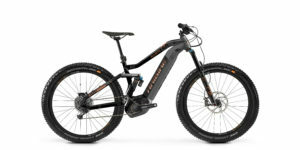 You really feel the bumps and a suspension fork and larger tires goes a long way. This is why I appreciate the Raleigh Route iE and IZIP E3 Dash so much. 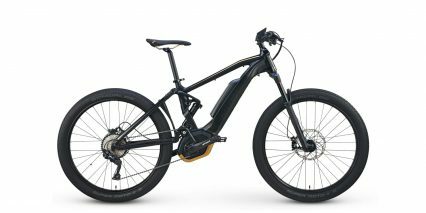 These models offer suspension, cost about the same as the Misceo iE but don’t have the shift sensing or internally geared hub. 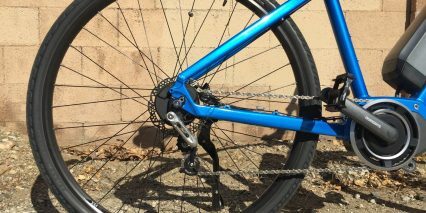 For me, the body comfort outweighs the cool internal gearing and shift sensing… you can replace your chain and derailleur if they wear down prematurely due to lack of shift sensing but you can’t replace your back, neck headache etc. 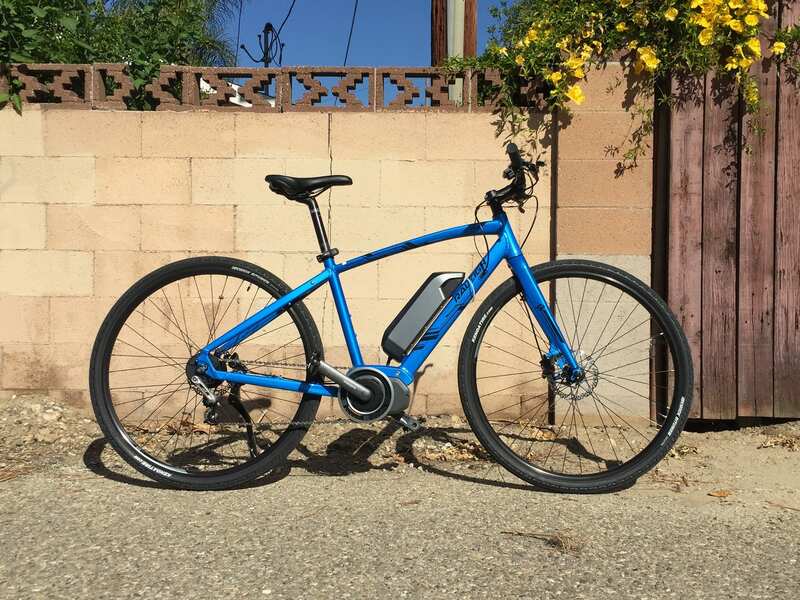 Q2: I have way less experience and feedback here… I’ve heard that the NuVinci variable speed transmission can work well on ebikes since there are no gears inside (just a slide and range of “gears”) and also that the Rohloff Speedhub often used on Optibikes is sturdy. Here’s a conversation from the EBR forums about this topic (though it’s a bit outdated). Glad the site and my feedback has helped, if you have any feedback about the videos, writeups or other work I do please chime in. I’m always trying to evolve and adapt the work I do. Recently I’ve emphasized more pro/con bullets and shorter writeups letting the video do more of the discussion. 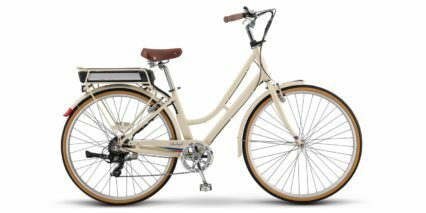 My aim is to continue doing a higher number of reviews to help convey the landscape vs. just a handful of bikes. Court, I picked up my Misceo iE and the 2016 is pretty nice to look at. There are a lot of changes over the 2015. I do have a question about bike stems. 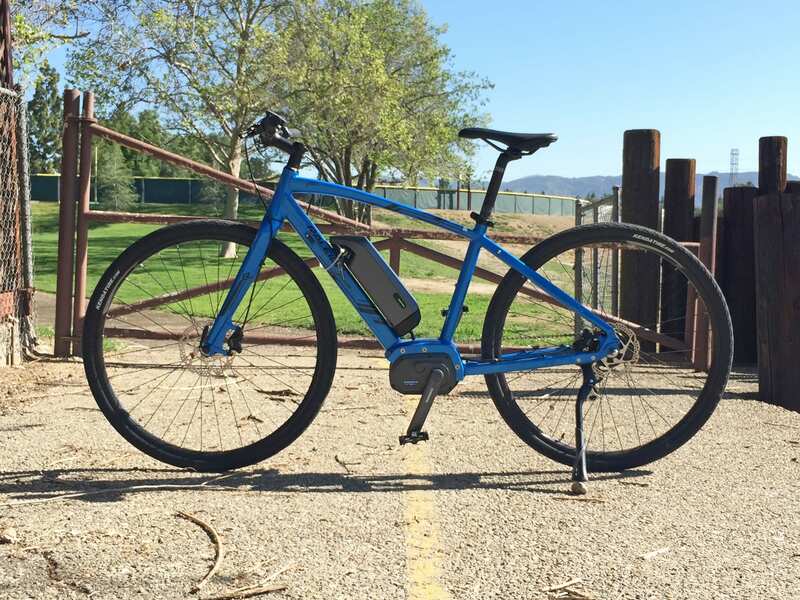 After riding it for a while a realized I would like a more relaxed ride. Any high rise stems you might recommend? 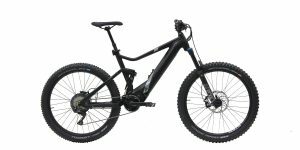 Maybe something with suspension? Court here is a suspension stem that is coming out. It sounds like it’s releasing in May-June 2016. 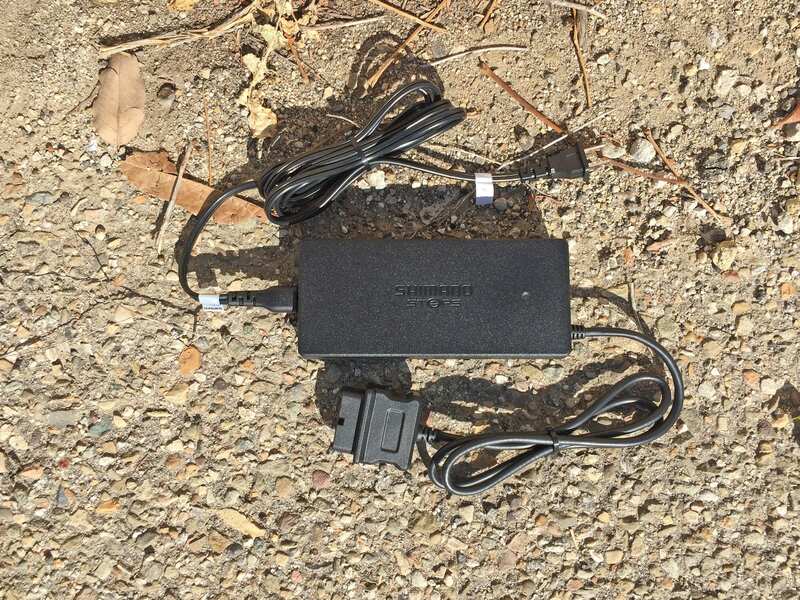 If you could get a demo unit, it might make an interesting YouTube video. 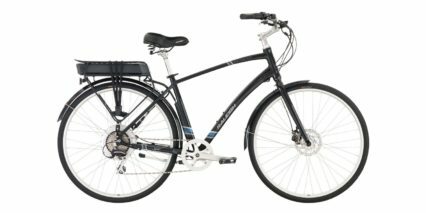 I really like this bike because it looks like a standard fitness hybrid bike. 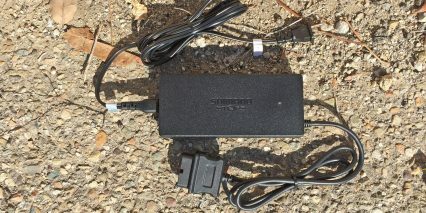 I’m glad you reviewed it, I like the overview of the Shimano StePs system. 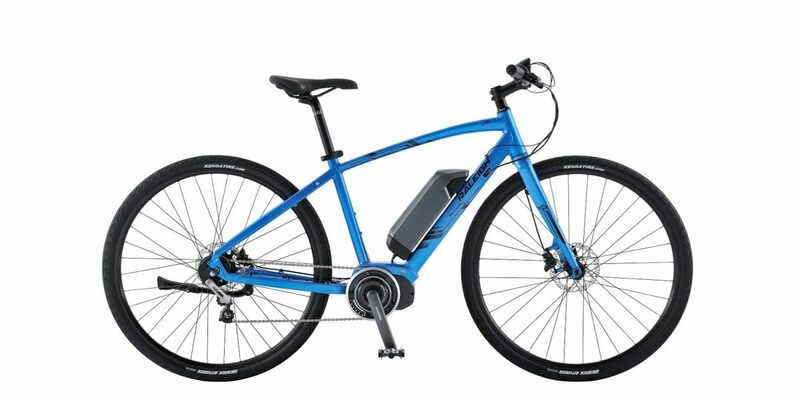 The only thing I wish is that they didn’t have that chain tensioner in the back that looks like a derailleur. 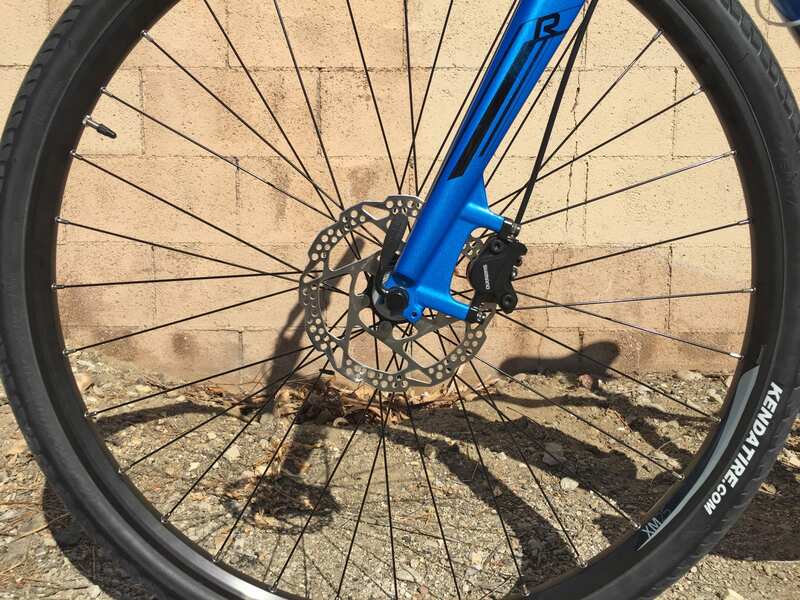 Other regular bikes that have a Shimano internal hub manage to avoid it. 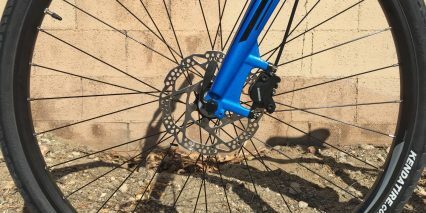 That’s one of the advantages of internal hubs because it’s doesn’t have a derailleur hanging out to get bent. 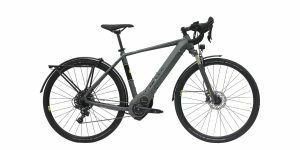 The fact that it has DI2 electronic shifting for this kind of price is pretty amazing. 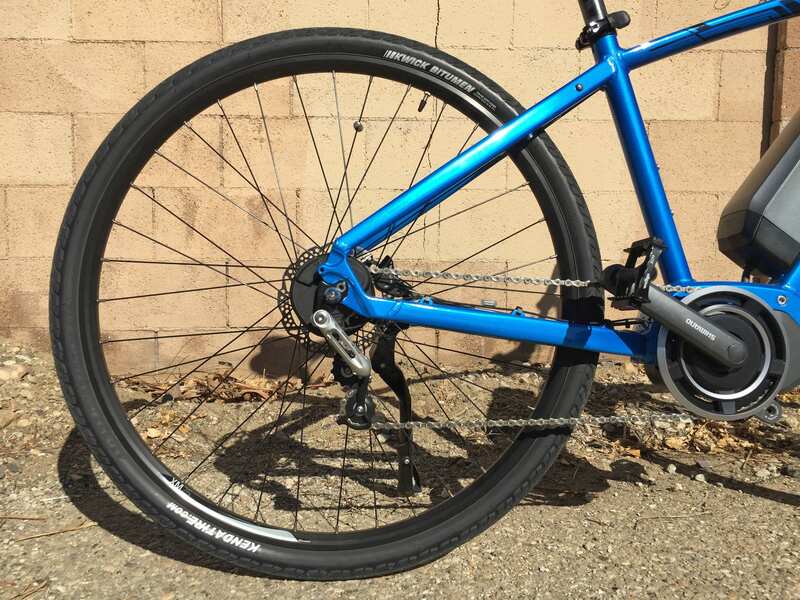 The Alfine Di2 hub is a pretty expensive part by itself that are usually on bikes $1000+ and it seems that Raleigh’s MSRP has been lowered this year making it even better value. 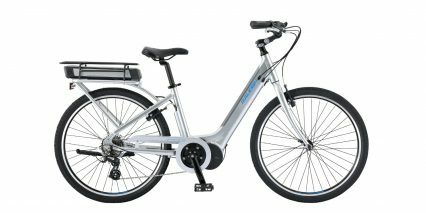 As a guy that owns a few regular bicycles, I tend to like e-bikes that are based off regular models of bikes, because 1) they usually offer them in more sizes 2) they tend to look more like regular bicycles and don’t stand out as much. 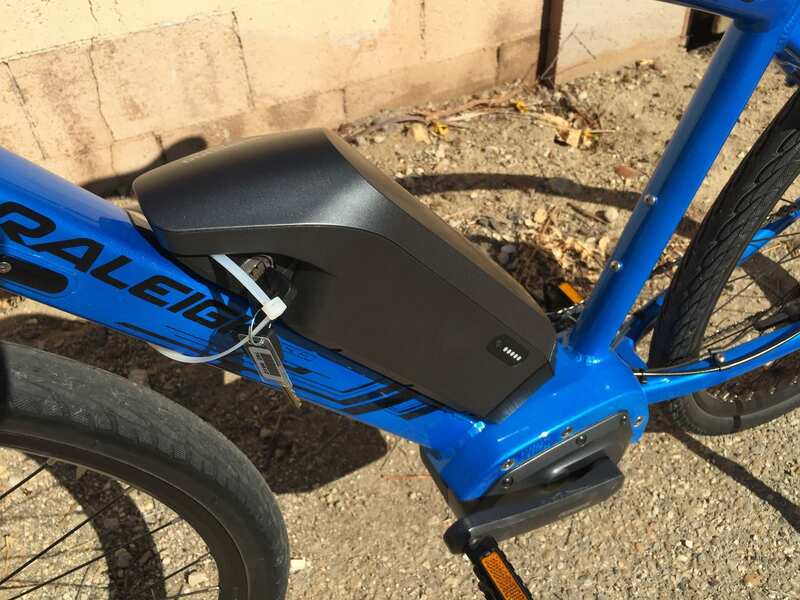 This Raleigh looks like any other $700 hybrid, rather than something that screams e-bike. Good points, I agree with you about the sizes and style. 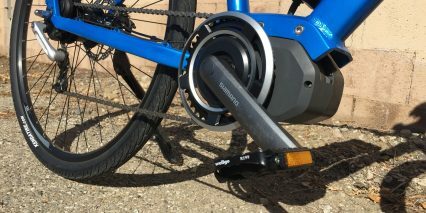 Not sure why they felt it was critical to include a chain tensioner? 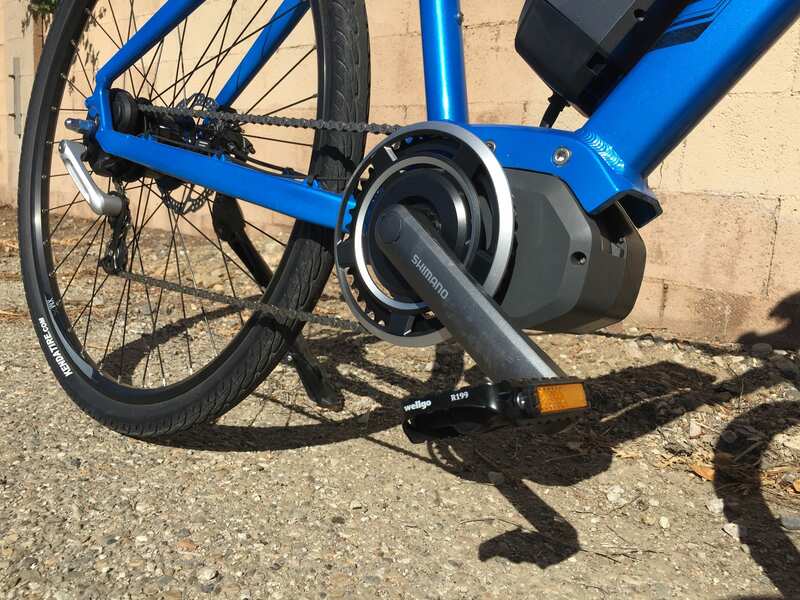 Perhaps it’s more important with a mid-drive system to prevent chain slip or maybe they were having trouble with the chain coming off which I’ve experienced on a lot of cheaper ebikes. Hi Scott! 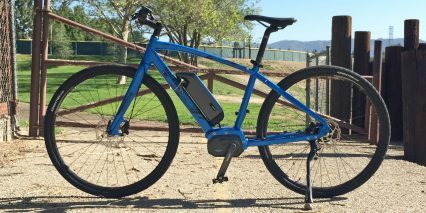 I believe you’ll need to take the bike into a Raleigh dealer so they can hook it up to their diagnostics system for a firmware update. 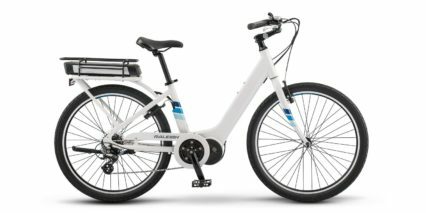 There might be a special dongle and software required that consumers can’t get themselves :/ as far as the Turbo… I really like that bike, it looks cool and goes faster (between 26 and 28 mph depending on the model you get) which can shorten commute times but also drain the battery faster. 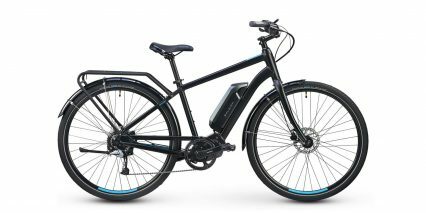 Another consideration is the lack of suspension with the Turbo and some other road-oriented Class 3 ebikes. 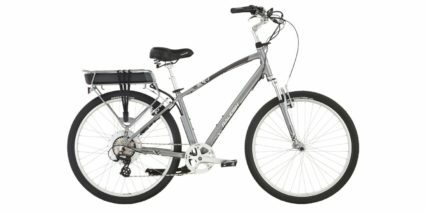 You’ve probably already experienced the sportier rigid feel with your Misceo. The Turbo is cool because it operates very quietly thanks to a gearless hub motor vs. mid-drive and that motor re-captures some energy with regenerative braking. 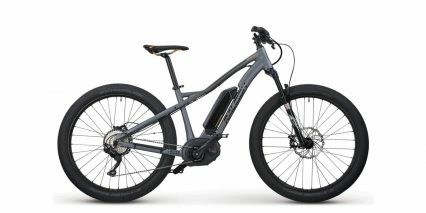 Same with the Stromer ebikes.